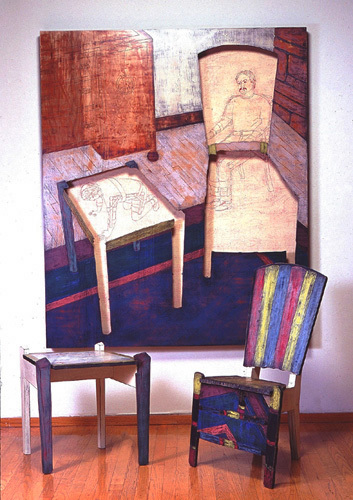 What at first looks like just a grouping of Michael de Forest's furniture and painting is in fact an ingenious system of convertible furniture. 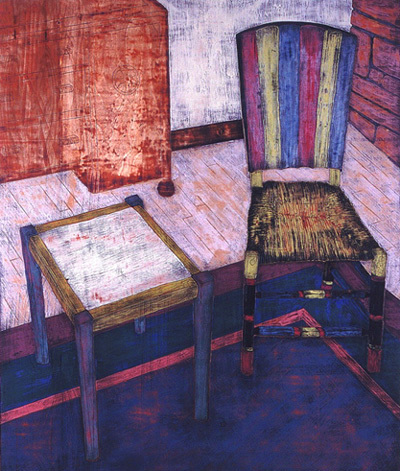 Like the furniture of the Shaker tradition when not in use the table and the chair hang back up on the wall. In this case back up into the painting.